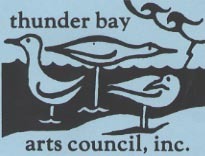 Thunder Bay Arts Council & Gallery offers a year-round gallery of visual artists from the region as well as a series of performing arts concerts throughout the year. It sponsors the annual "Art on the Bay" Open Air Fine Arts & Crafts Show. Summer Concerts in the Park, Annual Showcase Series, Community Chorus, Alpena Symphony Orchestra, Artist In-Residence Series, Featured Artist Exhibits, Artist Receptions, YouthCORE, Chamber Ensembles and a Vocal Music Library are highlights of what TBAC offers. Check out our website at www.thunderbayarts.org for more details.